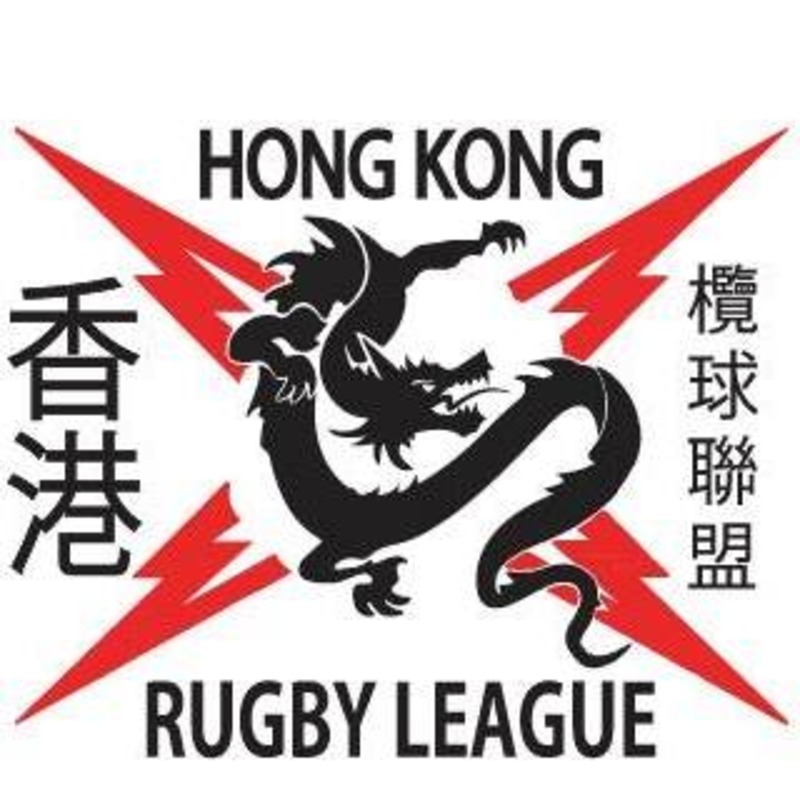 Welcome to League 852 - the Official Hong Kong Rugby League (HKRL) Podcast. Be sure to keep updated with all the latest information on the Hong Kong 'league scene' at www.hongkongrugbyleague.com where you'll find all our links to our social media. #17 - Kung Hei Kung Hei !!! Kung Hei Fat Choi !!!! The boys kick off the 'Year of the Pig' talking Chinese New Year, the recent World Club Challenge, Indigenous vs Maori All-Stars games and welcome local leaguey KP Lafotanoa all the way from Sunny Nelson, New Zealand. They also preview the upcoming Speed Tag, HKRL 9s (May 4th), Domestic League (May 25th) and favorite league books. #16 - And that's a wrap !!! The boys are back one last time to review an epic 2018 over a few Moon Dog Old Mate Pale Ales. Assistant Hong Kong Thunder coach Matt 'Dim Sim' Jones drops in too as they farewell departing Head Coach Jason Fairleigh, discuss the importance of 'getting on the lash' & 'beef curtains'. A huge thank you to all those supporters, sponsors and volunteers and we look forward to seeing you in 2019. Hong Kong Coach Matt 'Dim Sum' Jones joins the boys to review the Thunder's efforts at the recent Emerging Nations Rugby League World Championship. Despite going winless in the tournament the team are already looking forward to the next one. The boys are back and counting down to the Thunder's first game at the Emerging Nations World Championship 2018 in Sydney, Australia. With 4 new caps for the game against Poland we hear from new faces Ari Rogers and Gareth Janes. Neville is once again joined by Ringo Lung and Suze Carey for a review of last month's Super League and a chat with some more of our Hong Kong Tag World Cup Superstars, Andrew Tasker, Jonathan Mo and Carman Law. Plus, we hear more about the Hong Kong national team players based in Sydney. Guest podcaster Suze Carey joins Neville to preview the upcoming Hong Kong Tag Super League Finals, with team captains Anthony (Wolfpack), William (Toy Story) and Flora (Wayfoong). Hot off the press, we hear from Hong Kong Tag Coach James Elliot as he reveals the picks for November's Tag World Cup squad. How has the upcoming World Cup changed Hong Kong's tag rugby scene? Laura Fernández and Winnie Wong debate. The boys review the recently completed Men's & Women's season, potential HK Thunder 'bolters', talk Dim Sum, and filling 'gaps'. Our local 'leaguie' this week is none other than Former HKRL Board Member and 'Leaguel Counsel' Podcast host Jack Muir, and, HK Tag Coach James Elliot & family join us all the way from Australia. Brad Emery from Aimviva & Suzanne Carey (HKTag) join the boys to talk 'finals footy' this weekend for the men & women, Hong Kong eligibility and answer fan questions. Can you be too aggressive on the field or should that be saved for the ring? Just ask HK Thunder rake Craig Mcmurrich and Emma Chung. For our non-Cantonese speakers here is a transcript of our South Women's Team Captain Lo Pui Shan's 羅佩珊 (Maxson) interview : "After winning last game, we have confidence we can play even better Don't know how to stop them from being dangerous, but i think both teams should maintain spirit of the game and not be harmful towards one another. Hopefully those who support us will carry on supporting us! Thanks!" It's 'bring your kid to work' day as the boys update us on the Emerging Rugby League World Championship dates, HKTag Fest, Club Fight Night, we hear from local Leaguie Tavita Tanielu and much much more. The 'Thai Cave rescue', team bonding & England's FIFA World Cup Exit kickoff the show. The 'Posh & Becks' of HK Tag then recap another successful Origin battle & preview the Impact Pro Wear Tag Challenge in DB. Founding HKRL Board Member James Hall is our 'local leagie', Men's & Women's League 9s & who will join Hong Kong Pacific TOA in the final? After a huge public outcry Nev returns to lead the boys. The boys also (heaven forbid) send a shout out to the Men's Hong Rugby Team as they take on the Cook Islands in their quest to qualify for the next Rugby World Cup. HKRL Board member and 'local leaguie' Dan Mascord puts Wee Waa on the map, and, with Battle of Origin returning we hear from some of the Captains of the HK Tag 9s teams; Anna Burns, Flora Yuen and Simon Acton. Deena Thinakaran and Illiana Bodnar-Horvath give us their perspectives on making their league debuts in the 2nd Women's 9s league game of the season; can the South level the series? Jason Yip and Richard Lindsay also talk up their sides chances in the Men's 9s; can the Island side stop a very powerful Kowloon/NT team? #6 Y'all come back now ya hear !!! The 'body' Corbin Gibson helps makes League 'great again' by giving his bold predictions for not only the next Rugby League World Cup but also the current Football World Cup. The boys also talk 'dad bods', pre-game rituals and we hear from official HKRL time keeper/scorer Chris Pennington, referee Ben Wong, and, Super Coach Jason Fairleigh recaps the recent 'Origin' and 'International Round'. With a big weekend ahead can Tavita Tanielu and Hong Kong Pacific Toa maintain their unbeaten record in the Domestic League? #5 Winner, Winner チキン Dinner !!! Join the boys on the newly branded 'League 852' podcast and congratulations to Laura Fernandez from HKTag on her winning name suggestion. We also preview the second annual East Asia Cup clash between Hong Kong and Japan with Thunder Head Coach Jason Fairleigh set to take over the mantle of 'oldest player' on the park from newly appointed Japan coach Amani Konishi who is still the most capped Japanese player. We also hear from new cap Allan Newsome on his preparation for the big game. Sydney University Rugby League Football Club player and HK 'poster boy' Toby Lei, gives us his picks on the 'danger' players for Japan and we finally hear from Berowra Wallabies Ben Ryan - Hong Kong's rampaging rotund red head. Captain Ringo Lung also returns to share his new found fame appearing in the South China Morning Post. #3 Origin, Culture and what is a 'real' leaguie? #2 A watershed moment in HKRL history. The boys are back to review a scorching 2018 Red Sip HKRL Nines with the Mate Ma'a Tonga Residents Team defeating a valiant Hong Kong Pacific TOA 12-6, a historial win by the North Women's team 15-5 and another extremely successful HK Tag Challenge. They also preview the upcoming Super League II domestic season and highlight who are the players to watch in the Valley Broncos, Oreana Storm, Pacific Toa and Wan Chai Warriors. Can Hong Kong handle two games of live Rugby League action back to back each weekend? Be sure to enter our 'podcast naming' competition for a chance to win some great prizes and if you didn't know who Harry Sunderland or Steptoe and Son were you soon will. #1 Rugby League is back in Hong Kong. Today Neville Metcalfe (HKRL Chairman) talks to Ringo Lung (Hong Kong Thunder Captain) & Jack Nielsen (local cleaner) reviewing Hong Kong's historical first international test against Japan, previewing the return match in Tokyo, the HKRL 9s and answering some fan questions. Be sure to leave us comments, questions, & feedback using the 'voicemail' option (up to 1 min) on the 'Anchor' app.